how can i get categories that share at least one product with another given category in sql? You make an inner join on same table. 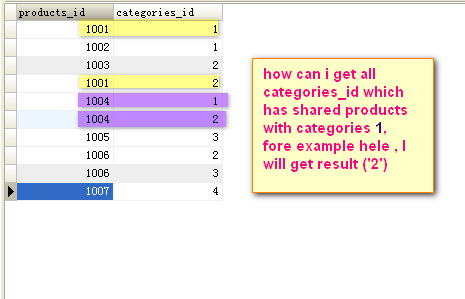 The products_id must be identical, and categories_id must be different.